It’s that time of the year for anyone to plan to go to The Mitty at Road Atlanta. The dates are Friday - Sunday, April 26-28, 2019. The featured marque this year will be Alfa Rameo. There will be a "Car Club Corrals" where they will be reserving areas for car clubs. The Historic Sportscar Racing (HSR) Mitty is the perfect weekend to plan a fun getaway, with lots of automotive-centric events and camping allowed throughout the infield. Parade laps can be purchased for Friday and Sunday. Saturday is reserved for the Fesitvals of Speed. 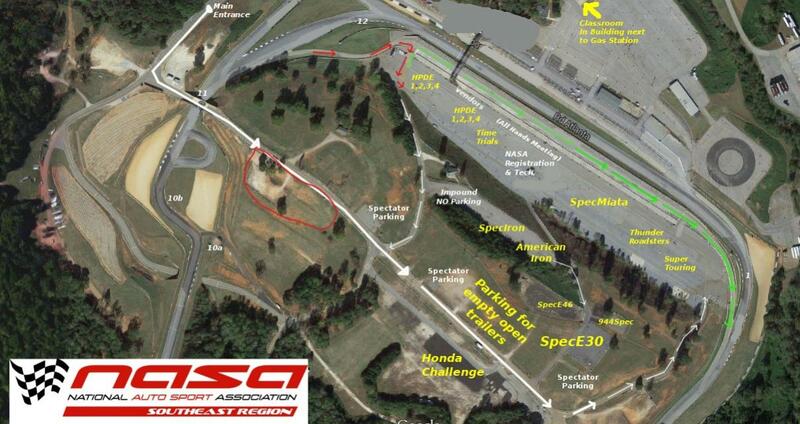 Road Atlanta is also having Festivals of Speed doing a big show in the Fan Zone along with their own hospitality tent. See link below. 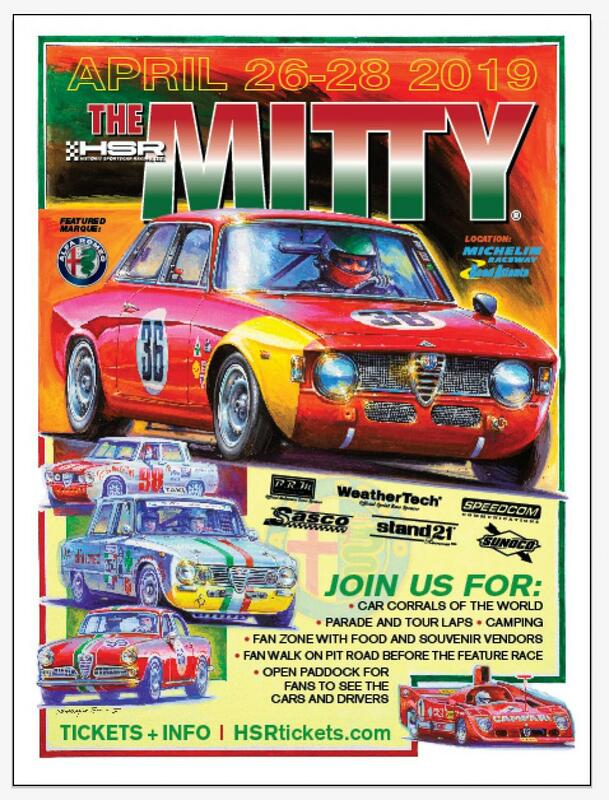 The HSR Mitty now in its 42nd year is an event weekend not to miss! 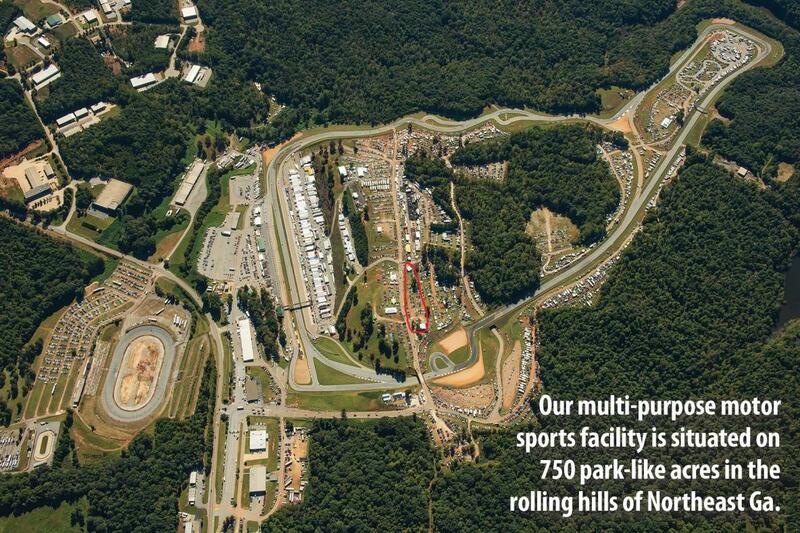 Plenty of on and off track activities, bring the family and enjoy the rolling hills of Michelin Raceway Road Atlanta. Want the ultimate fan experience at the Mitty?! Be sure to purchase a VIP ticket for all the extras including the chance to win a seat in the Pace Car! At gate pricing is higher, so get your tickets early. Rick has provided a discount for the Cobra Clubs attending. See link below. ***NOTE*** When using the discount code, each ticket needs to be ordered individually so you can get $10 off gate price or $5 off online. All tickets ordered after April 12 will be held in WILL CALL and available for pick up in the Driver/Crew Registration Office at Road Atlanta starting April 25. On-line tickets sales will end on April 19. 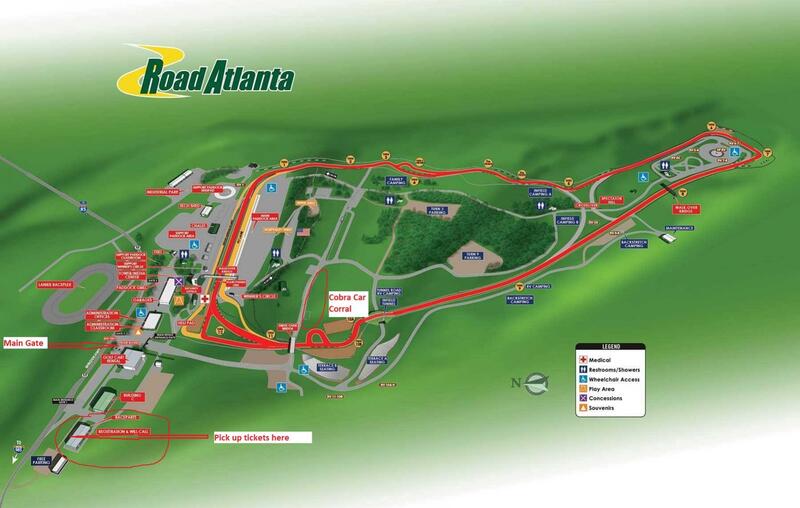 Tickets will be available for purchase at the gate at Road Atlanta starting April 26. Hey Gary. I've never been to this event but want to attend this year. Can you give me a quick summary of how things work? In other words, after buying a ticket and showing up, where do I go and what is the basic process for connecting with the other Cobra folks? I may only be able to make it for Saturday. Any info would be helpful. Thanks. Greg, we would love to have you there. Typically we meet on Saturday for this event since that is the day most people can attend. I plan to be there around 8:30. I will attach a map for you and send you a PM with my phone number. Basically, once you come in the main gate, go down the hill and up the other side, turn left at the top of the hill and go over the bridge. We will be parking on the right hand side of the road. Call me when you get to the track and I will tell you where we are since there are several places we might be parked. Bring folding chairs if you have them. There is plenty of great racing, food vendors and plenty to see at the track. You will have access to the pits, vendor ally and can drive around the infield to check out other good places to watch the race. Awesome - Thanks Gary. I received your PM and I'll give you a call. Be aware the Discount Code: CobraClub2019Mitty is for ONLINE ticket purchases only. This discount expires midnight, Friday, April 19, 2019 so get your orders in now. All tickets ordered after April 12 will be held in WILL CALL and available for pick up in the Driver/Crew Registration Office at Road Atlanta starting April 25. The Driver/Crew Registration Office is circled on the attached map. (See "Pick up tickets here" label). Rick just provided this update. The Cobra Corral will be parked in the USA Corral. Car Corrals of the World map attached along with schedule and entry list links. 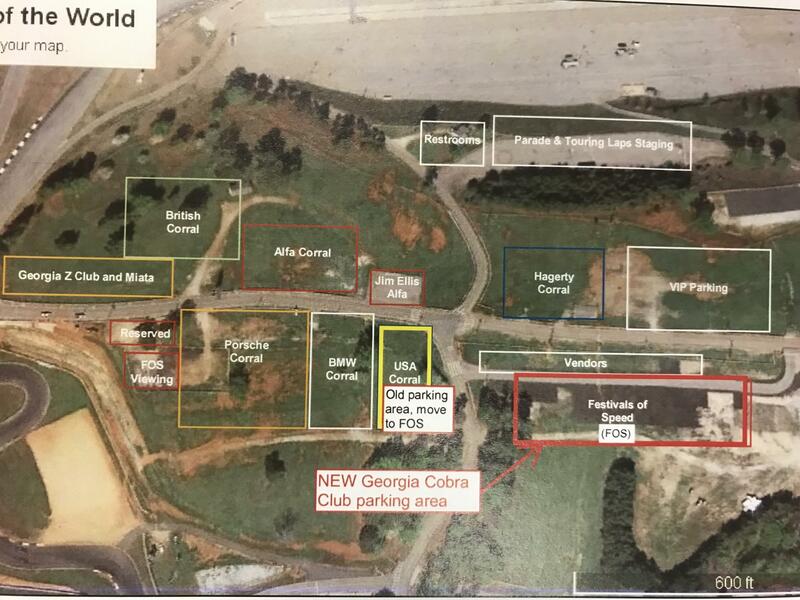 I have identified with a "RED" rectangle with an arrow marked "Georgia Cobra Club attendees park here" where Rick says we need to park this year. American car corral will be open Friday, Saturday, and Sunday. Parade and touring laps will be held on Friday and Sunday only for car corrals other than featured marque (Alfa Romeo). You make pick up a parade lap pass (free) at the HSR booth in the Fan Zone starting at 9:00 a.m. each morning. These passes are on a first come first served basis. You can purchase a touring lap pass for $50 (little bit faster than parade laps) at the HSR booth in the Fan Zone starting at 9:00 a.m. each morning. These passes are limited in number. The Fan Zone will have food and souvenir vendors as well as Festivals of Speed. Four more days till the Mitty begins on Friday! Weather is looking good!! See you there on Saturday!!! Just in from Rick at HSR. Rick has upgraded the Georgia Cobra Club car corral parking and moved us from the USA Corral to the Festivals Of Speed (FOS) car corral. This originally required a special ticket to get in but he wants more awesome cars in the FOS car corral and invited us to participate at no additional cost. This parking is just a little further down the infield road, on the asphalt and not in the dirt/grass. To get there, drive past the USA Corral where we were originally going to park, go through the next intersection then past the Vendors booths off to your right, and turn right after passing the vendors and come in the back side to the FOS car corral. No special ticket required, just let them know that you are parking in the Festivals of Speed car corral and the Georgia Cobra Club/You were invited by Rick Goolsby and Joe Sabatini. Wear your Georgia Cobra Club shirts if you have them.